Dolan graduated from the University of Massachusetts Amherst with a B.S. in Kinesiology in 2015 then went on to graduate from MCPHS University Worcester with a DPT in 2018. While at MCPHS he had clinical experience at Bay State PT Weymouth, Metro West Hospital in their outpatient at the Leonard Morse campus and inpatient at South Shore Hospital. He is originally from Weymouth Ma. 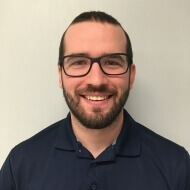 He first became interested in pursuing physical therapy after playing sports competitively in high school and finding physical therapy to be a good combination of medical science and physical training. In his off time Dolan enjoys snowboarding, staying active, and following the local sports teams.